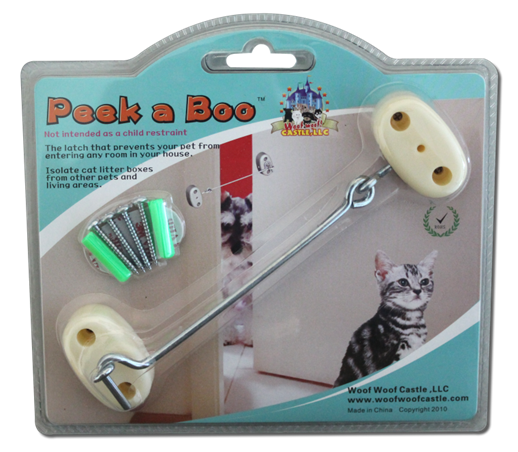 The Peek a Boo™ Pet Latch is a door latch that prevents your dog from entering the room where the cat litter box is located. Preventing your dog from eating cat feces out of the litter box. Provided that the Peek a Boo™ is properly installed, it will allow you to isolate cat litter boxes from your dogs or large pets.